Dusit Thani Sri Lanka project halted? 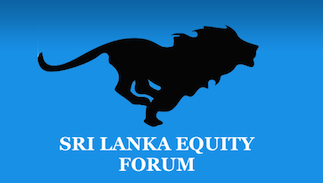 Sri Lanka Equity Forum » Stock Market Talk » Dusit Thani Sri Lanka project halted? ECONOMYNEXT – China’s Sino Great Wall International Engineering has got the contract to build a high-rise five-star beachfront property in southern Sri Lanka under the brand of Dusit Thani, Thailand’s hotel and property development company. Dusit Thani Sri Lanka is promising investors estimated returns of 8% a year or guaranteed returns of 6% net paid quarterly in US dollars for five years on its apartments on a 500-metre strip on the Balapitiya beach. Buyers can lease back the apartments to Dusit Thani to manage with no ongoing costs. Owners get 21 day free stay each year and can expect potential capital gains. “One bedroom ocean-view apartments priced from US$244,000 cost less than comparable property in Bali or the Maldives,” said Ajit Wijesinghe, a director of Indola Group, developer of the Beachfront Balapitiya property with hotel management company Dusit International. Construction on the first phase of the property, comprising 162 apartments, starts 20 March 2017 and will take almost two years, he told a news conference. About one third of the buyers are locals, one third expatriates and another third foreign investors, Wijesinghe said. Paul Dwyer, director of Indola Group, said they expect to earn $200 million from retail sales when the entire property on eight and a half acres is complete. Good beach front property on Sri Lanka’s southern coast was hard to get with the main road and rail track running close to the beach. Dusit Thani Sri Lanka will earn money from apartment sales and a management fee. About 15% of the second tower has also been sold, Dwyer said. Single bedroom apartments will be rented out for at least $200 a night. Investors can buy penthouses for $3.5 million upwards. Billy Tang, Sri Lanka Branch General Manager of Sino Great Wall International Engineering Pvt Ltd. a listed firm on the Shenzhen stock exchange, said they built the RIU Resort Hotel Project at Ahungalla. Sino Great Wall International Engineering has also built 100 five-star hotels in China, he added. Contractors have been dismissed and project is on hold. There goes my penthouse for $3.2mn. Good luck for this who bought apartments. I am happy to report the Dusit Thani project has not halted. I am the developers project manager and can confirm the the original contractor Sino Great Wall are no longer on the project however they have been replaced by China State who are one of the largest contractors in the world and they successfully completed several projects in Sri Lanka. During the change over works have continued on the project. @sjbush wrote: I am happy to report the Dusit Thani project has not halted. I am the developers project manager and can confirm the the original contractor Sino Great Wall are no longer on the project however they have been replaced by China State who are one of the largest contractors in the world and they successfully completed several projects in Sri Lanka. During the change over works have continued on the project. Good news in your first post.Welcome to forum. Mr Stephen Bush thanks for your reply. Can you explain us the reason why contractors were changed? Changing contractors is not a decision like changing clothes. 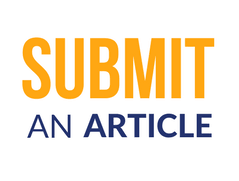 Also please let us know rhe current issues you have with BOI with regard to approvals.